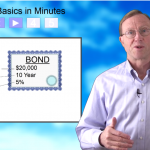 Build your investment knowledge about corporate bonds and why they are issued, along with the different risks and benefits that are involved with secured and unsecured corporate bonds. Here an a quick, informative video that explains it all. To learn more about bonds, check out, 10 Bond ETFs That Shine in a Rising Rate Environment and Regulatory Changes Put Spotlight on Bond Pricing.